Happy 2016! 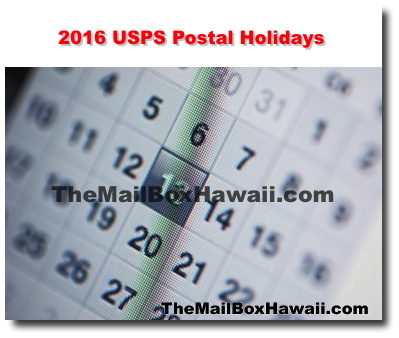 As the festivities calm down and everyone gets back into the normal flow of things, here are some important postal holidays for you to remember. *December 25, 2016 is a Sunday (the legal public holiday for Christmas Day). For most Federal employees, the following Monday will be treated as a holiday for pay and leave purposes.